I’m a bit behind with Cake of the Month and I’m having a catch-up. I invested in three very good quality 20cm loose bottom cake pans from Lakeland so that I can make the layer cakes from the Hummingbird Bakery books. I can reveal that the question to answer to win October Cake of the Month is – Who is your favourite puppet? And the winning answer : – It has to be sooty, sweep, sue and little cousin scampi – we could really embaress Charlie and Joe by reminding them how obsessed they used to be over them………. 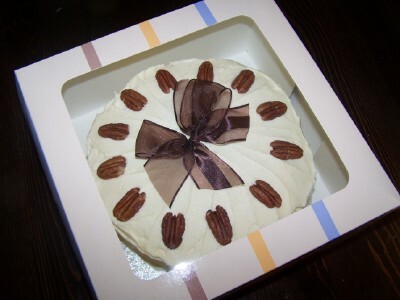 The winner received a Maple and Pecan Layer Cake. 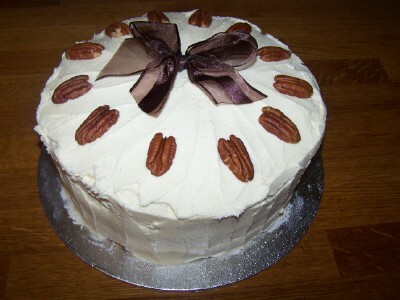 The recipe came from Cake Days by the Hummingbird Bakery. I’m going to try and make November Cake of the Month today!